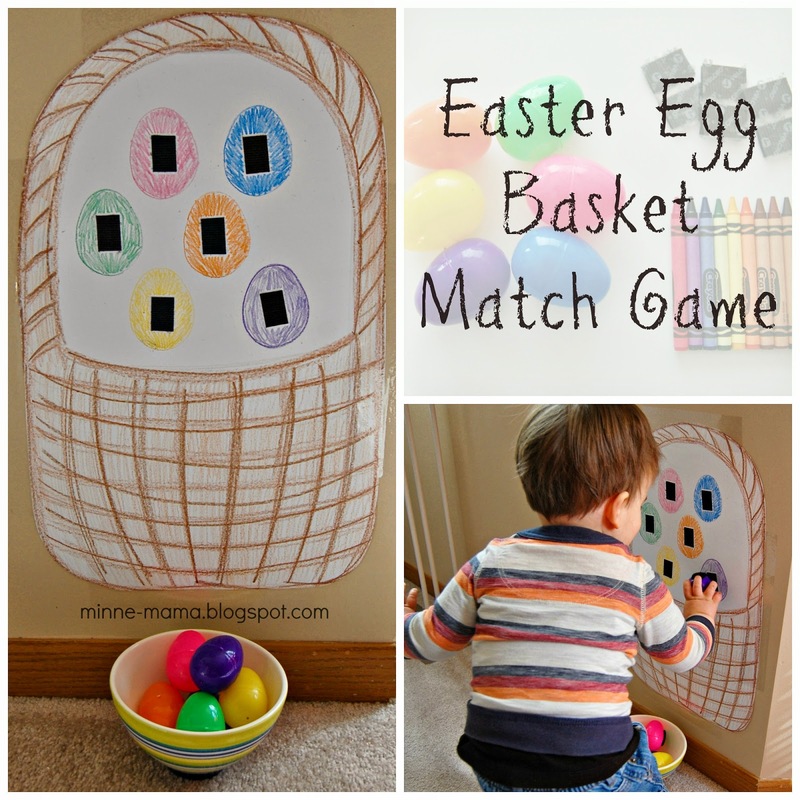 To create this color match activity, I used a piece of white poster board, plastic eggs, Velcro, and crayons to match the eggs plus shades of brown for the basket. 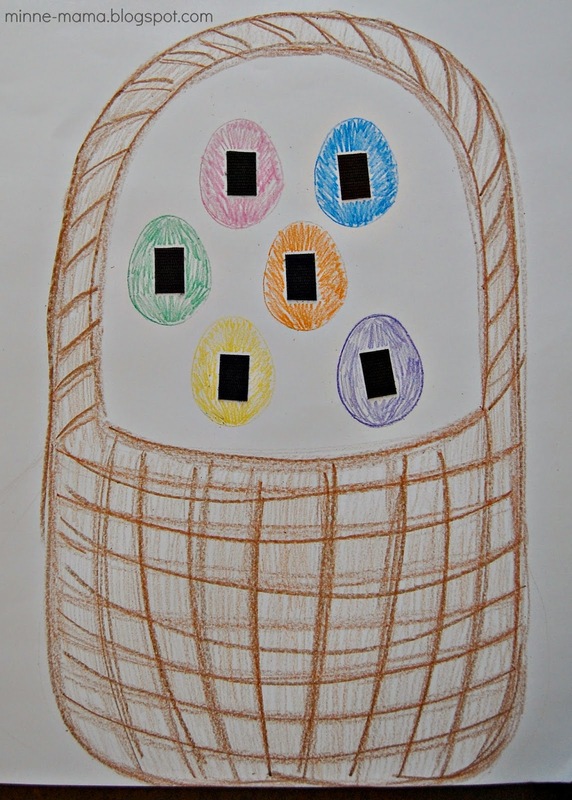 I loosely drew the shape of a basket, made sure that the six eggs would fit in the opening, and then colored the line in more darkly. I colored the basket in and added some lines to give it a woven look. 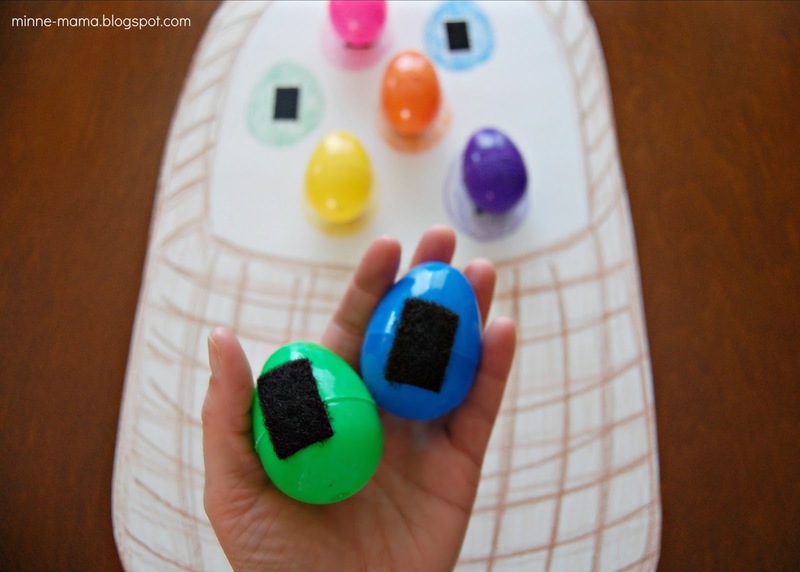 I stuck the soft half of the Velcro to the egg, matched up the pieces of Velcro, and stuck them to the paper still attached to the egg so I knew they would be spaced well. 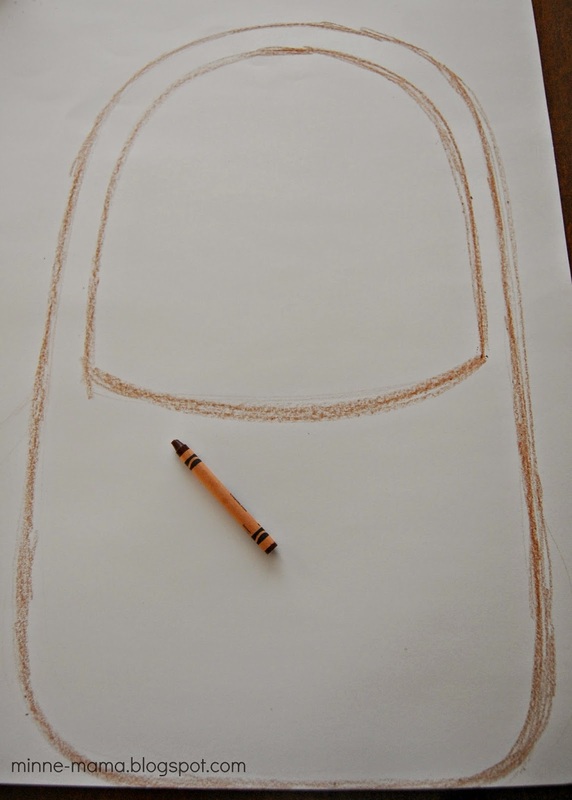 To draw the colored egg on the paper, I just traced around the egg as it was stuck to the paper. 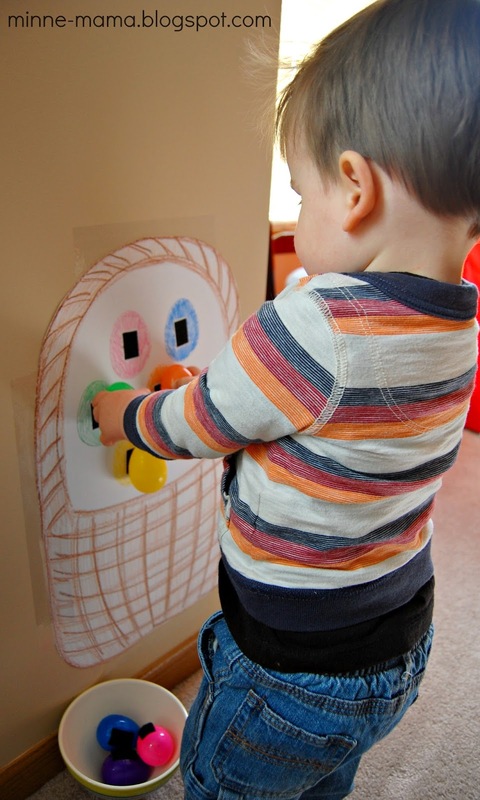 Skyler was so excited to see this set up and enjoyed sticking the eggs onto their color match, ripping them off (maybe his favorite part because the sound is so fun!) and then doing it all over again. He stood there and filled the basket for so long! 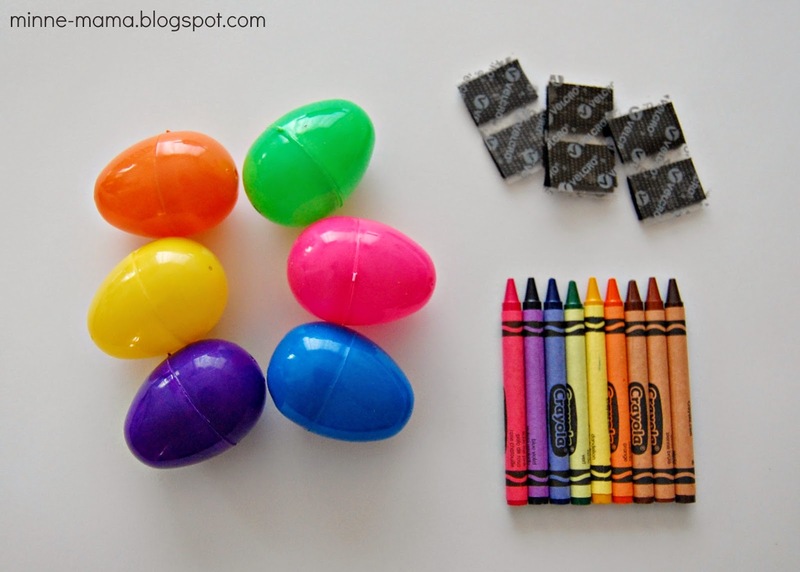 After he was finished playing, he quietly said "All done Easter eggs" and pulled them off the basket one by one, "pick up, pick up, pick up" It was so funny. Double handed! 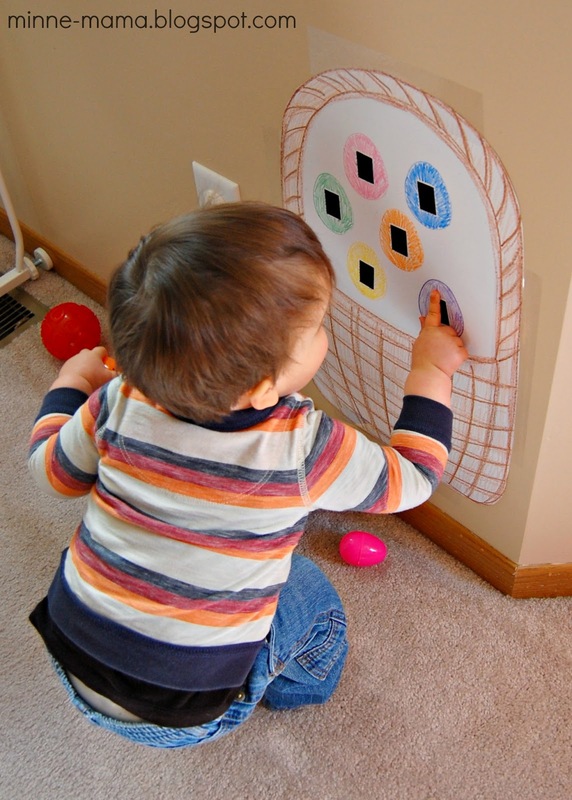 For just a minute or so when he started playing, Skyler would just press the egg onto the paper and let go, and sometimes it would fall. 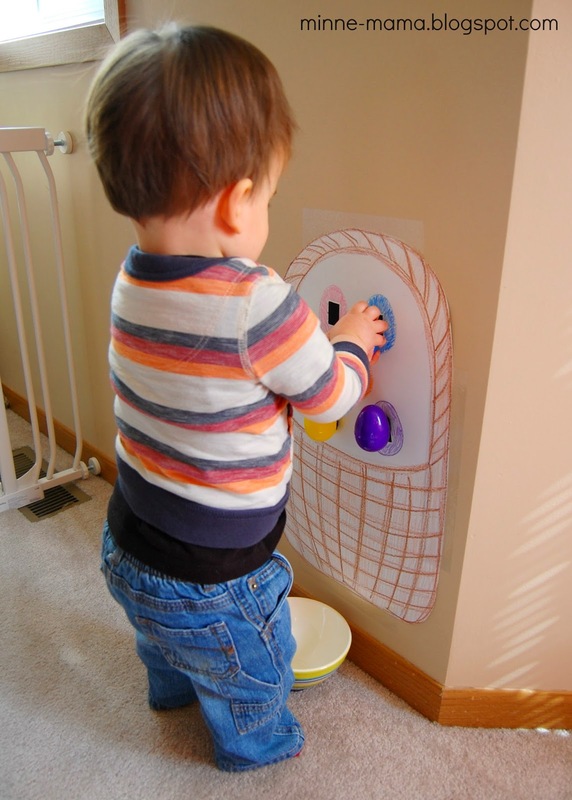 It didn't take him long to realize that the Velcro had to match up on the egg and the paper. 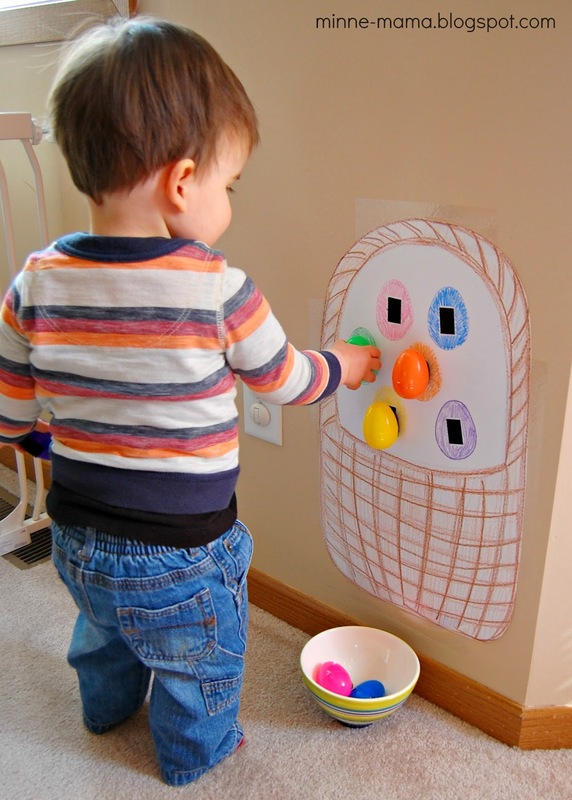 He also loved feeling the "bumpy" texture of the Velcro on the paper, and the "soft" textured Velcro on the eggs. 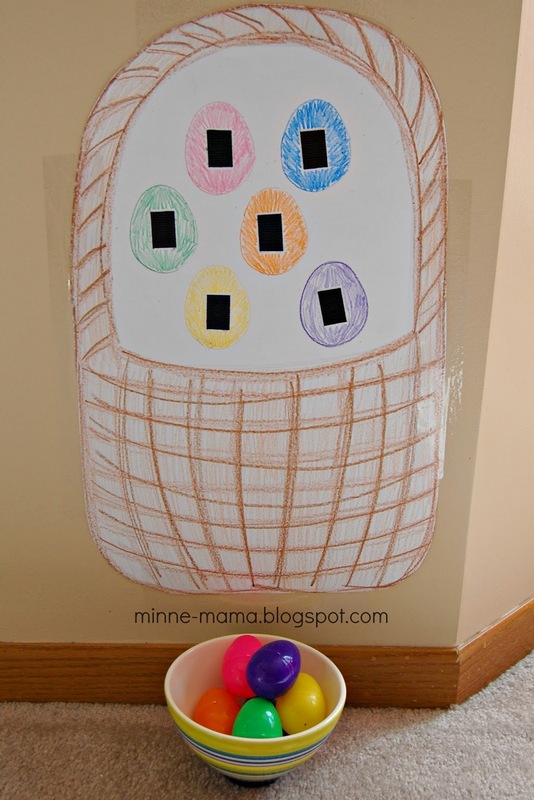 I made sure to put the same side of the Velcro on either all of the eggs or all on the paper so that he didn't have to match the colors if he didn't want to. This fun match game only took me about five minutes to make and set up, and provided us with an entire afternoon of fun! 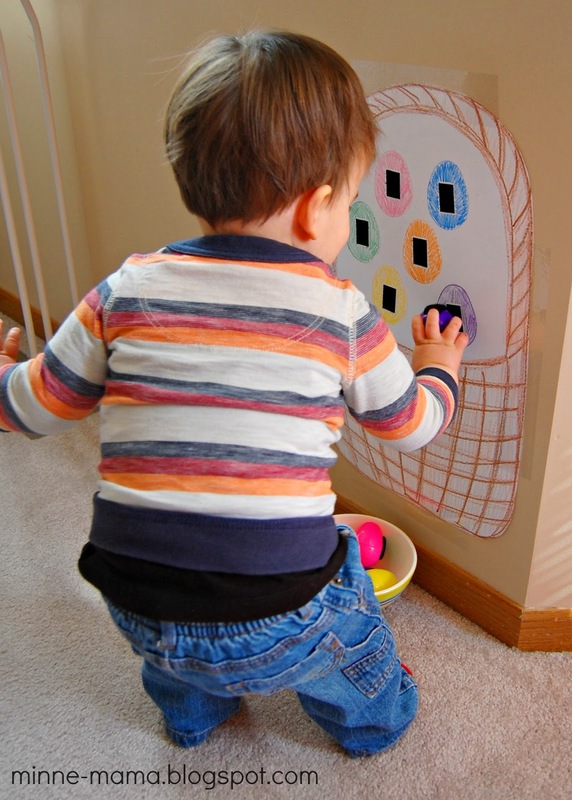 I know Skyler will enjoy using this color activity a lot in the next few days! Love this!! How old is Skyler in this picture? Just wondering if it is age appropriate for my grandson. Hi Barbara! 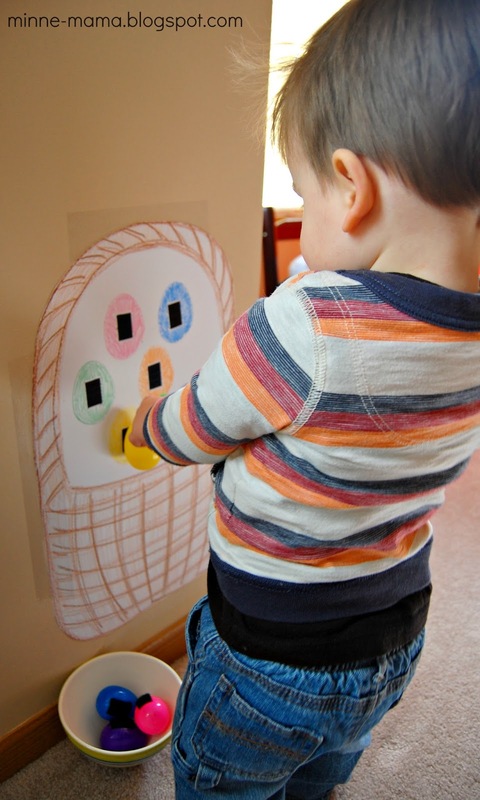 Skyler was 22 months old when we did this activity. We pulled it out this year and my Emerson (almost 2 1/2) loves it at his age too!